The world of messaging is a confusing one at times. Whether it’s iMessage or WhatsApp or classic text messaging, finding a solution that everyone has and uses is never easy. With RCS (rich communication services), we were under the impression that we might have the solution we need, especially with Google leading its charge, along with the GSMA. You may recall that back in 2016, Google and the GSMA announced the RCS Universal Profile. This was their attempt to create a global advanced messaging standard that all carriers could adopt to make messaging better for everyone no matter their phone or wireless provider. Unfortunately, that standard (Universal Profile) has not been met by many in the US, outside of Sprint. T-Mobile, AT&T, and Verizon have all said that they’ll support it at some point, it just hasn’t happened yet. I should say, until today, because T-Mobile just said that their network is ready. In Q2 of this year, T-Mobile customers will receive software updates on their phones that enable support for RCS Universal Profile. This is huge news because it will mean advanced RCS messaging services between carriers, which is something that isn’t currently happening. You see, T-Mobile and AT&T have their own advanced messaging services, but they only really work within their networks, not across them. Sure, T-Mobile says that their current solution should technically work everywhere. However, I’m not aware of it playing nicely with other carrier solutions. AT&T isn’t even hiding the fact that their’s is an AT&T-only thing. 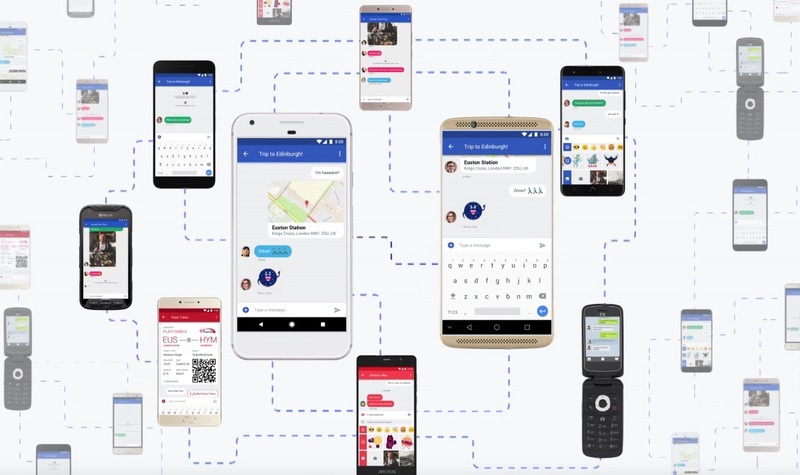 Once this starts rolling out, we’re still going to need Verizon and AT&T to jump on board with support in order for this to make messaging great everywhere. If anything, this at least gives us Universal Profile between T-Mobile and Sprint. It could also mean support within the Android Messages app. We’ll bring you updates as we learn more.